The RB-HD2 Dual Stereo Headphone Amplifier. The RB-HD2 is a high performance 2-way stereo headphone distribution amplifier for driving up to 2 pairs of professional stereo headphones from a single stereo or mono input. A switch on the rear panel enables the distribution of a mono signal to all four outputs (i.e. 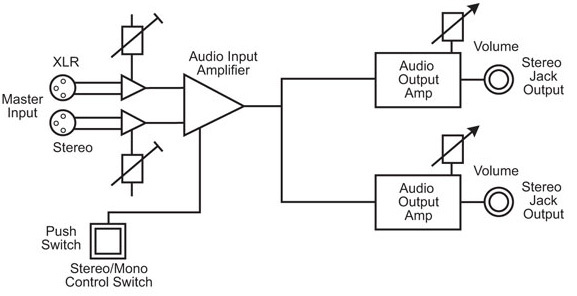 both earpieces of a pair of stereo headphones) via the left channel input. The stereo/mono switch is located on the rear panel to prevent accidental knocking.